Geometric Abstract Checks - These colored pencil personal checks look like they were made especially for you! 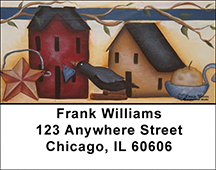 Creatively designed and spaced, these arts and crafts style personal checks are fun and authentic looking. Torn And Worn Personal Checks - Showcase these interesting arts and crafts inspired checks each time you write out a Torn And Worn Personal Check!